Two years ago today, I publicly declared that I was turning this dormant blogspot space into a nail blog. 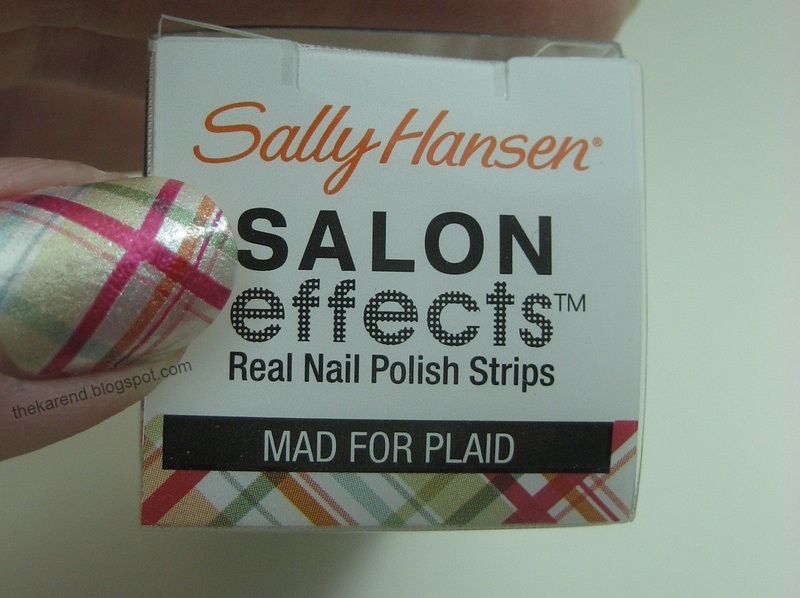 Keep an eye out for my 2nd Blogiversary Giveaway later; right now I have a quick look at what was on my nails not so long ago: Sally Hansen Salon Effect Strips in Mad for Plaid, one of the limited edition designs that showed up this spring. My nails are still short enough that I can get one mani out of half a package if I leave a slightly bigger than ideal gap on some nails, so I have more plaid left to use later. I did put these on over the Barielle Nail Rebuilding Protein instead of bare nails as usual, but they still lasted a full work week with only one "chip"—a corner of one strip tore away. I covered the spot with a pearly white polish and no one was the wiser. It's kind of ridiculous how much I like these strips given how resistant I was to trying them when they first came out. Before I started this blog, I hadn't tried strips, or stamping, or marbling, or frankening, or all sorts of other nail stuff. I've had fun these last two years and hope you have enjoyed reading the posts that have resulted from my playing around with color and design. Looking ahead, I've got so many ideas that I don't see myself stopping anytime soon. Congrats on two years! I agree wholeheartedly on the SH strips... I refused to try them but now I love them. Happy Blogiversary! These strips are adorable! Those strips look so pretty! I haven't tried any yet but plan on doing so if on my next vacation. Congrats on your two year blogiversary! Looking for many more to come and all your polish adventures! This design is just gorgeous!! They look great... Very nice design! Happy Blogiversary! I really love these strips, too but have only tried them on bare nails. Glad to here they work with a base coat as well. I will have to try that. Do you put a top coat on, too? Congratulations on two years! 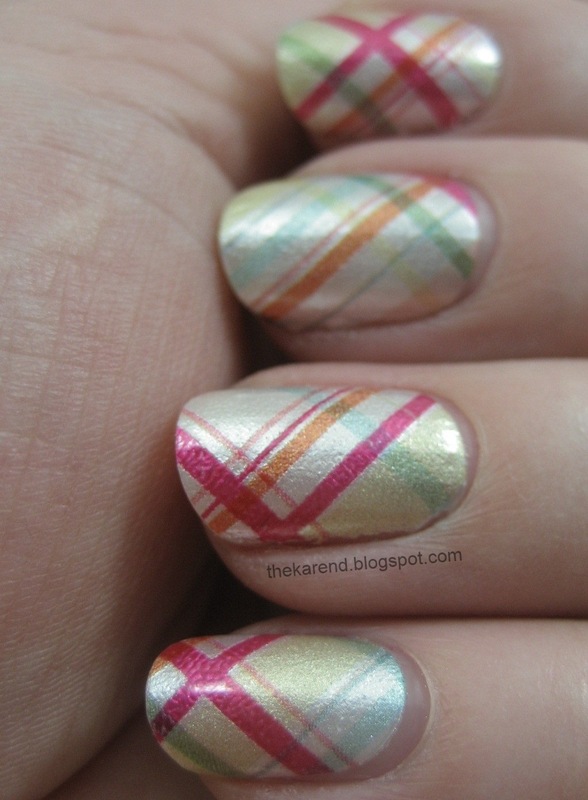 :)I still have yet to try these strips, but I love these plaid ones! Every time I stop to look though, there are so many and I get overwhelmed and walk away. Haha. Happy 2 year Blogiversary!!!!! I love your blog and wish you many more happy years to come! I really like those strips. Very pretty! Congratulations on your Blogiversary! Great job! I love these things!!! I wore this one as well! Congrats on 2 years and so glad you aren't going anywhere anytime soon! I really liked this pattern and it looks great on you! Congrats on 2 years! I'm hoping to enjoy your blog for at least 2 more. These look great on you! You apply them so well! Aw I absolutely enjoy your blog! Happy 2nd blogiversary! They are so pretty! Love these stickers, they are so handy to have and easy to apply. I usually also just use one package :) Congrats on two years!